Nestled in the Southern Japanese Alps, Hakushu is one of the loftiest malt whisky distilleries in the world. It is owned by Suntory, one of the big two Japanese Single Malt distillers. 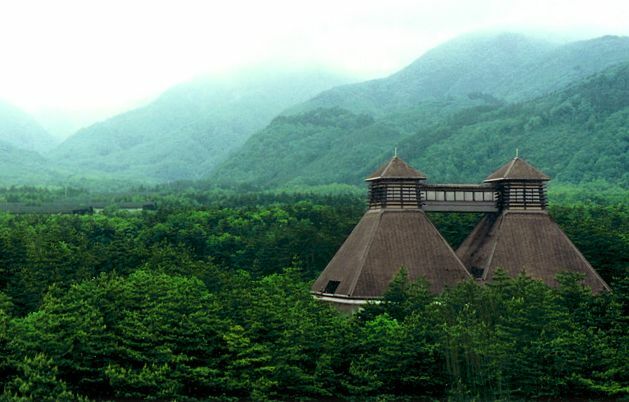 The distillery takes its water from beneath Kai-Komagatake ("Pony Mountain"), the impressive granite peak on whose forested coat tails it sits. I think the name Hakushu means "white sand bar" and refers to white sand washed down from the mountain. Hakushu, with its trademark walkway linked twin roofs, is a very large site and actually contains two separate distilleries. The original distillery was opened in 1973 but its 24 stills have now gone silent. 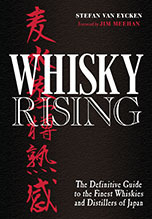 The single malts come from the second, known as Hakushu Higashi (Hakushu East), which came on line in 1981. The water used by Hakushu is soft as opposed to the relatively hard water used by Suntory's other single malt distillery at Yamazaki. This is because of the granite mountainside. Rainwater is naturally soft but can pick up minerals as it runs through certain types of ground. The rainwater at Hakushu falls on hard rock and therefore retains its softness. The distillery has a museum, restaurant, nature walks and a factory shop where they sell all kinds of gumph: not just whisky but whisky cake chocolates, pen cases, barrels for your garden etc. etc. etc.. The distillery is open to the public between 10am and 4.30pm (in the Golden week holidays in April to early May this is extended to 6pm in some years). There are guided tours of the plant every half hour between 10 am and 3pm. They take about an hour and include a tasting at the end. Print out this coupon and take it along. I think it might give you a discount or something. Ten minutes by taxi from JR Kobuchizawa station. I visited Hakushu yesterday and enjoyed the day. It is also possible to walk from the train station to distillery and it will take you about an hour. Quite a nice walk along the rice fields and definitely makes you enjoy the Whisky that bit more. There is only a Japanese tour, but they will still take you along. On parts of the tour one of the staff updated me on all the information in quite good English and also later on in the shop explained some of the non standard Whiskies to me. There seem to be three different tours. 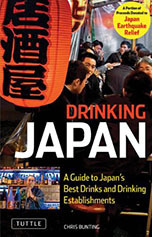 Whisky only, Suntory Mineral water only and a mixed Whisky and water tour. I was on the mixed tour (due to not speaking japanese and only discovering the tours afterwards). This featured a quick tour of the whisky warehouse and the bottling facilites of the mineral water. So I guess it would be sensible to go for the Whisky only tour, allthough you get a whisky tasting with the mixed whisky and water tour also. The small museum in the old still building features a nice overview of general and japanese Whisky history and also enables you with a good view of Fuji-san from the lookout in the still towers. The above mentioned voucher will get you a complimentary Hakushu whisky tumbler.